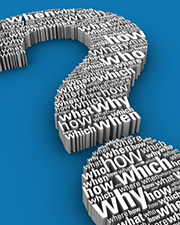 Do you have any questions about Septic Tanks? How do you know What Size Septic Tank is needed to efficiently dispose of wastewater and sewage generated on your property? What Type of Septic System Design is most Cost Effective? 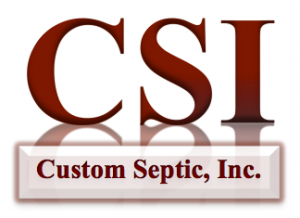 The Septic System Specialists at CSI Custom Septic, Inc. have answers. Our very knowledgeable team has been Designing, Installing and Repairing MN Septic Systems since 1996. Our MPCA Certified Services are designed to Protect Your Family and Protect Your Investment in your Cambridge MN home. Every home and every piece of property have unique characteristics that can affect the type of septic system that can be used. At CSI Custom Septic, Inc. we work with you to help choose the most Cost Effective and Long Lasting system for your family’s home or cabin. A strong combination of education and experience gives us the ability to find the best fit for your property. What Size Septic Tank to Install? Septic Tank Sizes range from 750 gallons to 1500 gallons. A typical 3 bedroom home may do well with 1000 Gallon Tank. Consult with a MPCA Certified Septic Designer & Installer to know for sure if your septic tank or tanks are sized right for your unique property. The Size of a Septic Tank is just one factor in a Septic System Design. A Certified Septic Designer will also take into account the kind of Soil, Location of the sewage system, Topography of the land, proximity to other Structures, state and local government Ordinance and so on. Here are some of the Types of Septic System Designs currently being used in Minnesota. An On Site Septic Tank System can be a good investment for your family home or cabin. It is important to find a MPCA Certified Septic System Designer & Installer to get the most out of your investment and protect your family’s health. Since 1996, Minnesota families have chosen CSI Custom Septic, Inc. to provide high quality septic services at a fair and honest price. In Cambridge MN, contact CSI Custom Septic, Inc. at: 763-218-4769 for Innovative, Cost Effective, Long Lasting, Reliable Septic Solutions!